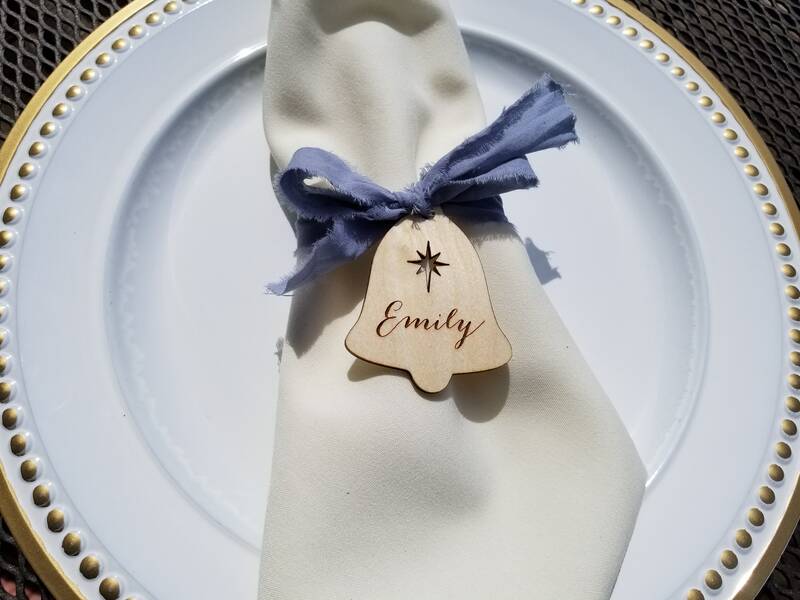 Custom laser cut & engraved name place holder for your winter wedding or holiday party. Need a custom order? Contact us.. We love custom orders. Thank you for browsing FineGiftsEngraving.com, your business is greatly appreciated!